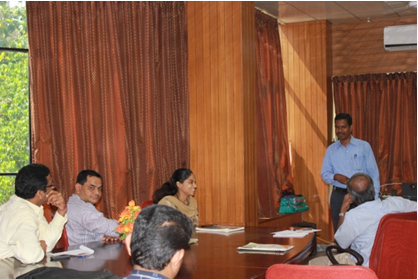 A nodal centre meeting was conducted at Amrita Vishwa Vidyapeetham, Kollam on 7 Dec 2012 exclusively for the institutes planning to use virtual labs in the upcoming semester (Jan2013-June 2013). 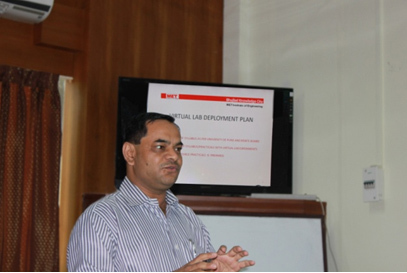 The top four nodal centres from different parts of the country were invited to present their strategies on implementing virtual labs at their esteemed institutes. Dr. Krishnashree Achuthan, principal investigator gave the introductory talk in which she extended a warm welcome to all the invitees. She also outlined the purpose of the meeting. The nodal centre coordinators were more than happy to accept themselves as institute coordinators upon request. It was followed by two sessions. A short guide to implementing virtual labs at the site was presented by Ms. Silpa Sivan. Next, Mr. Snehal Shetty explained the various exclusive VALUE features available to the nodal centres. This included unique login ID for all the users of nodal centres, online tests for the students and provision for tracking their activities. The final session of the meeting was dedicated to the presentations from the Institute coordinators. Each coordinator elaborated their plan of executing the usage of VALUE lab experiments as a part of their curriculum. 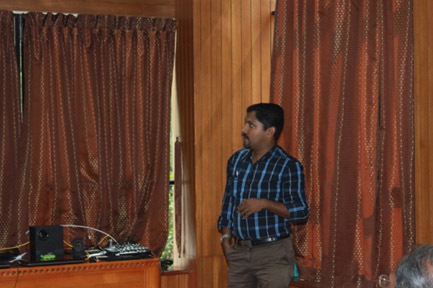 It kicked off with the presentation from Prof Jacob Sebastian, St Joseph’s college, Moolamattom, in which he explained that two hours a week would be dedicated to the use of virtual labs by the students from his institute. It was followed by Mr. Sam Rajan, CMS college, Dept of physics, Kottayam and he plans to impart 1/5 the of score obtained by students into the internal marks. Dr. Anbazhagan, Assistant Professor, Dept. of chemistry, VMKV engineering college, Salem was the next and more than 400 students would be using virtual labs in the odd semester from his institute. Dr. Kharat, Professor from MET engineering college, Nashik, Maharashtra assured that more than 700 students from MET would be using the experiments in the next semester and they have dedicated 75 PCs for the purpose. They plan to incorporate 12.5 % of marks obtained by the students into their internal marks. Virtual Lab Inaugural Function was celebrated on Behalf of Vinayaka Missions University, Vinayaka Missions Kirupanda Variyar University, and Amrita Vishwa Vidyapeetham. 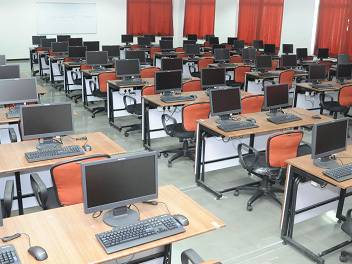 This Virtual Lab is created by National Education Scheme M.H.R.D. Chemistry Professor Anbazhagan gave the welcome speech. Dr. Krishnashree Achuthan, Dr. Zeena Pillai, Sreekala and Ms. Silpa Sivan from Amrita Vishwa Vidyapeetham, participated as Special Guests. Kripanandavariyar College Principal Nagappan headed the function. RamaniGopal and MuthuRaman gave Benedictory Speech. The vote of Thanks was given by Senthil Kumar from Physics Department. This function was arranged by members of Physics and Chemistry Department.